Rowman & Littlefield Publishers, 9781538107515, 286pp. The Francis Effect explores how a church once known as a towering force for social justice became known for a narrow agenda most closely aligned with one political party, and then looks at the opportunities for change in the "age of Francis." Pope Francis has become an unlikely global star whose image has graced the covers of Rolling Stone, The New Yorker, Time, and even the nation's oldest magazine for gays and lesbians. The first Latin American pope, the first Jesuit, and the first to take the name of a beloved saint of the poor, Francis is shaking up a church that has been mired in scandal and demoralized by devastating headlines. His bracing critique of an out-of-touch hierarchy, pastoral style when it comes to divisive issues, and humble gestures rejecting the trappings of papal power have changed the conversation about the world's most powerful religious institution. But in the United States, Pope Francis finds a church that has been transformed over the past three decades by a vocal minority of culture warrior bishops, conservative intellectuals, and Christian evangelicals. The first half of the book analyzes the key trends that shaped the Catholic Church over the past century, while the second half looks at the words and actions of Pope Francis, and what they mean for real change. 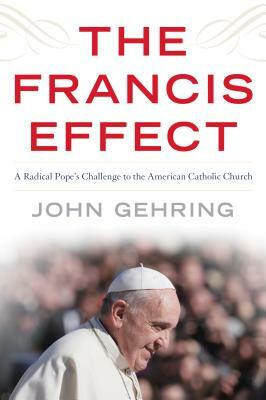 John Gehring is Catholic program director at Faith in Public Life, an advocacy group in Washington, DC. His writing and analysis have appeared in the Washington Post, New York Times, USA Today, Los Angeles Times, CNN.com, Crux, and the National Catholic Reporter, among other outlets. He is a former associate director for media relations at the U.S. Conference of Catholic Bishops and has been a staff writer at the Catholic Review, the Frederick Gazette, and Education Week. He is a graduate of Mount Saint Mary's University in Emmitsburg, Maryland, and Columbia University's Graduate School of Journalism in New York City. He lives in Washington, D.C.